Back in my Windows days, CCleaner was my favorite tool for freeing up space, delete junk files and speed up Windows. I know I am not the only one who looked for CCleaner for Linux when switched from Windows. 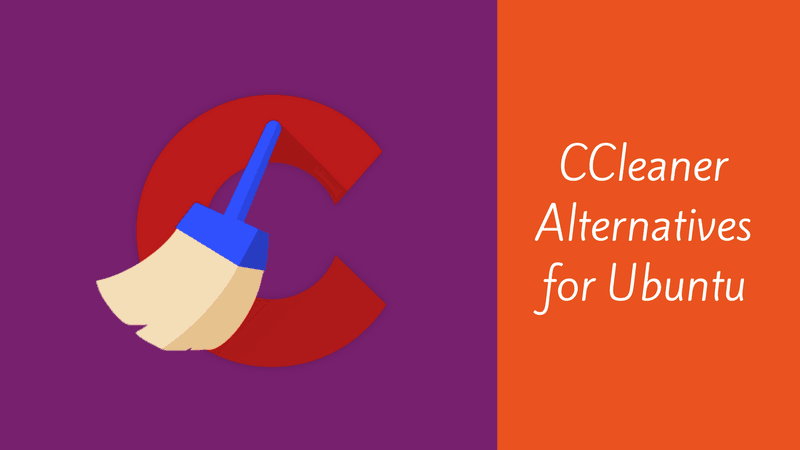 If you are looking for CCleaner alternative in Linux, I am going to list here four such application that you can use to clean up Ubuntu or Ubuntu based Linux distributions. But before we see the list, let’s ponder over whether Linux requires system clean up tools or not. 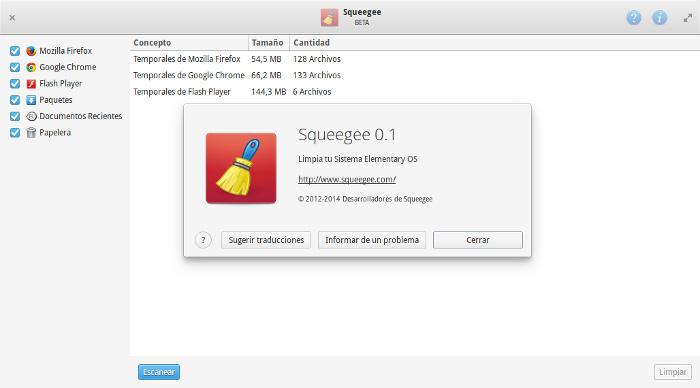 Does Linux need system clean up utilities like CCleaner? CCleaner has two main uses. One, it scans for and deletes useless files, freeing up space. Two, it erases private data like your browsing history and list of most recently opened files in various programs. So in short, it performs a system wide clean up of temporary file be it in your web browser or in your media player. You might know that Windows has the affection for keeping junk files in the system for like since ever but what about Linux? What does it do with the temporary files? Unlike Windows, Linux cleans up all the temporary files (store in /tmp) automatically. You don’t have registry in Linux which further reduces headache. At worst, you might have some broken packages, packages that are not needed anymore and internet browsing history, cookies and cache. Does it mean that Linux does not need system clean up utilities? Answer is no if you can run few commands for occasional package cleaning, manually deleting browser history etc. Answer is yes if you don’t want to run from places to places and want one tool to rule them all where you can clean up all the suggested things in one (or few) click(s). If you have got your answer as yes, let’s move on to see some CCleaner like utilities to clean up your Ubuntu Linux. Please note that I am using Ubuntu here because some tools discussed here are only existing for Ubuntu based Linux distributions while some are available for all Linux distributions. Simple GUI check the boxes you want, preview it and delete it. Note: Ubuntu Tweak has been discontinued. Don’t use it anymore. At the time of writing this article, GCleaner is in heavy development. You can check the project website and get the source code to build and use GCleaner. I have listed down the possibilities to you. 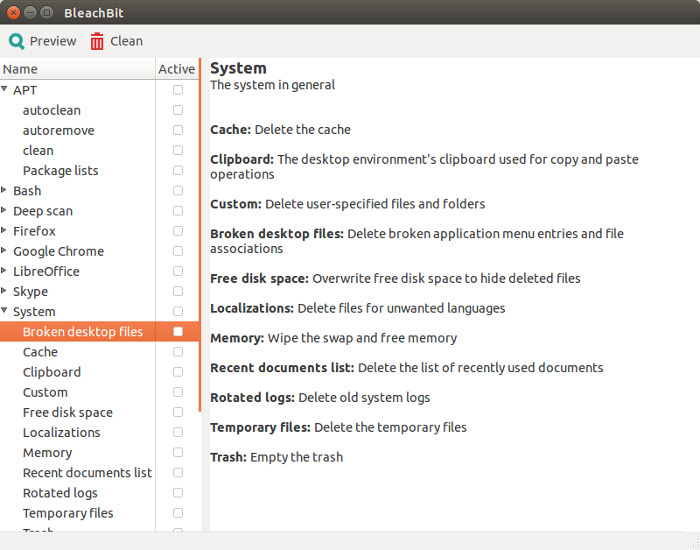 I let you decide which tool you would use to clean Ubuntu 14.04. But I am certain that if you were looking for a CCleaner like application, one of these three end your search. BleachBit is awesome, I used it with Ubuntu. However, it is very slow and has a little learning curve. I really don’t think any of the others can compare to it though. If you are on the fence relative to choosing one, give it a go. Your site is pretty useful. I’ve just switched to Ubuntu 16.04 LTS from Windows. The tips and information on your site has helped me get along well with Ubuntu OS. I feel glad discovering your site in the deepest Internet, man. Peace!